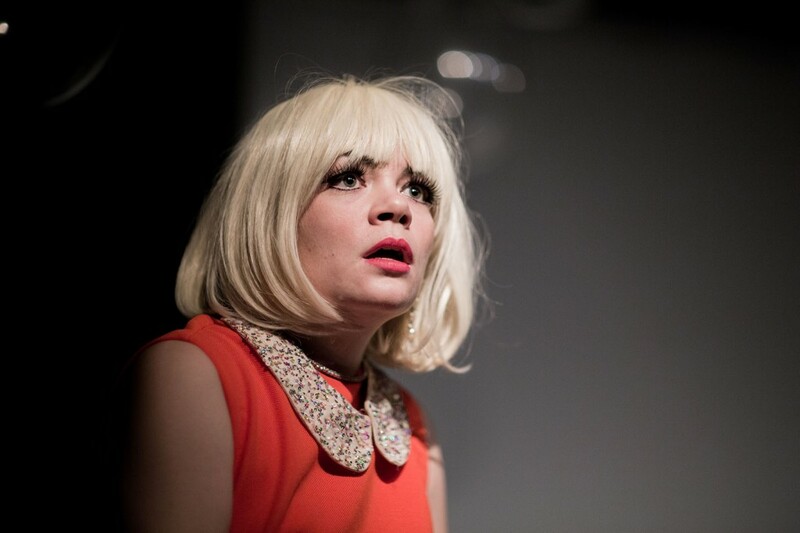 The 50 shades of Haley McGee on display in I’m Doing This For You is comedy colour at its most vibrant. Fabulously funny and titillatingly unpredictable, she’s the sweetie you can only dream of taking home to meet mother. It should be noted that Haley McGee’s stage leap to the Young Centre for the Performing Arts was instantly credited with a 5 star review the moment we caught word that complimentary spirits were available at the performance. When our legal team sat us down to underscore the importance of brand ethics, we regrettably had but no choice but to enter the venue with a less biased position. Don’t for a second mistake her latest piece with a solo artist’s make work project. This entertainingly purposeful presentation balloons with silly from start to finish. In short, I’m Doing This For You is a nameless birthday boy’s big shot at launching a comedy career. Not bad for a ‘directionally dyslexic’ engineering grad from the Kitchener/Waterloo region. However, this isn’t his doing specifically but rather an event organized by a love interest who knows the value of making amends and building bridges in a challenged relationship. The anonymous female heroin is ostensibly frantic, hysterically neurotic, and blindly infatuated with the outcome possibility. As she laughably preps the audience with necessary cues for something that may or may not happen you freely cheer for her all the way. It’s one thing for the pixie-esque performer’s license to comedy kill promoting audience engagement like we are her natural born BFFs but the fact she gets away with so much material in total darkness illustrates how much of a talent powerhouse the little lady has become. If the 2017 Dora Awards handed out a Best Actress In A Sexual Re-Enactment Scene, she’d already have her acceptance speech written and limousine booked. For this reason, Haley McGee gets her Amy Schumer on for full throttle improvised magic. In doing so, she positions herself as the city’s undeniable It Girl with very little competition—if any—coming up from behind. Regardless of your own emotional boo-boos of the past, never forget that ‘comedy heals.’ I’m Doing This For You is theatre’s best mood stabilizer in which no prescription is required.